Picture Justice is an education program that was created in 2014 by the New York-based non-profit organisation, PROOF: Media for Social Justice. Over the last 5 years, Picture Justice has been run in a range of schools in Manhattan and Brooklyn, including the United Nations International School, Avenues the World School, Lyons and several public schools. In the United States, Picture Justice equips participants with the skills to address social injustices in their own communities through a combination of photography, storytelling, and human rights education. The US-based program has seen a wealth of creative material created by the participants, including full scale exhibitions, newspaper-style publications and digital publications. To learn more about PROOF and the US Picture Justice program, click here. The magazine to your right is the work produced by the Picture Justice participants of 2018 in New York. Picture Justice Australia is a joint research project by researchers at Charles Sturt University and Swinburne University of Technology. 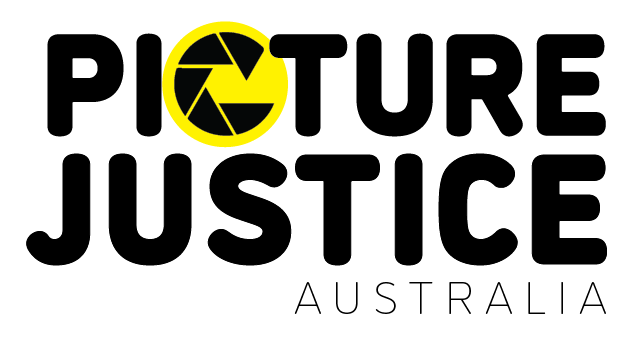 This pilot study brings the Picture Justice program to Australia for the first time since it was developed in 2014 by the New York-based non-profit organisation, PROOF: Media for Social Justice (https://proof.org/picture-justice/). In the U.S., Picture Justice has been run in a number of public schools in Brooklyn, as well as the United Nations International School and Avenues World School in Manhattan. The program includes a range of multidisciplinary, creative workshops that aim to build participants’ skillset and how to apply these collaboratively to issues of human rights and social justice. Picture Justice Australia will focus on the themes of community, citizenry and the processes of democracy. Participants will work collaboratively to produce a range of written and visual content that will become a projected exhibition and printed publication. The 6-day, extra-curricular program will be run on Charles Sturt University’s Port Macquarie campus during the July 2019 school holiday period.